Sometimes we deserve to be pampered. 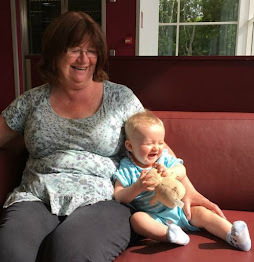 Busy mums, and in my case a busy grandmother, are not always able to have time for ourselves. 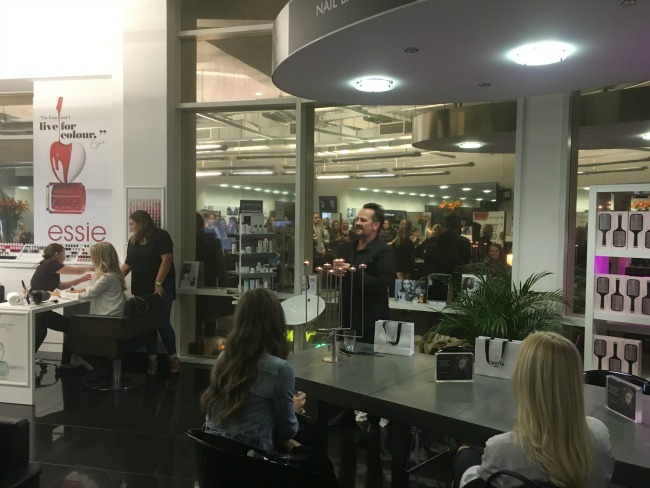 You can imagine how delighted I was to be invited to Ken Picton Salon Cardiff* for a wonderful event #bighairdo and to review the treatments on offer. Firstly I must say I am a complete novice at being pampered! I do not even own a hairdryer let alone a styler (tongs to me). I have never had my nails done professionally either. This was a new experience for me and I loved it! 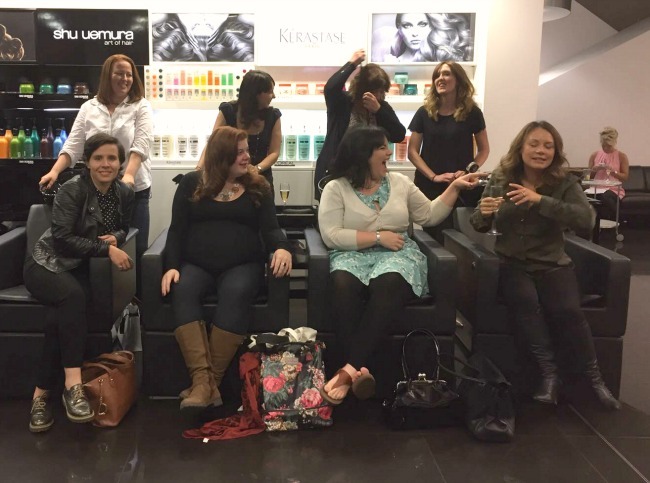 Ken Picton Salon Cardiff is in the lovely Mermaid Quay in Cardiff Bay. 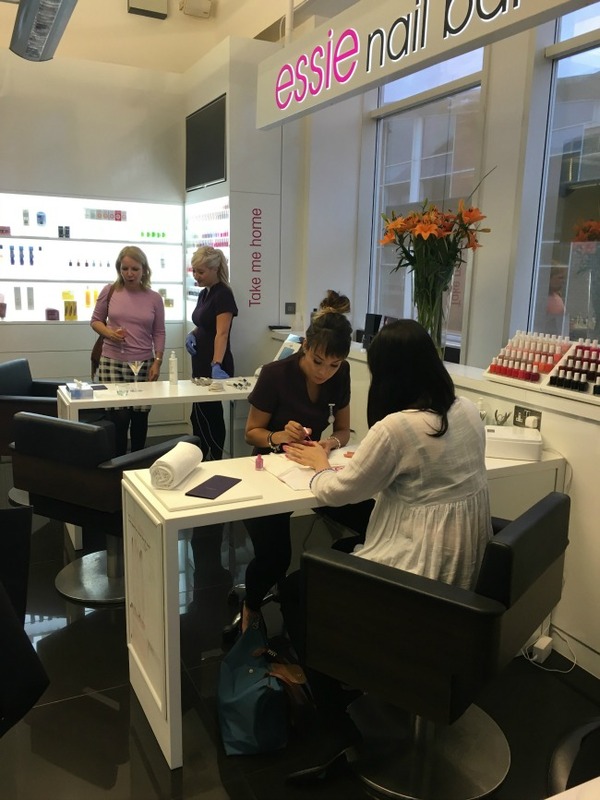 Surrounded by restaurants and bars it is the ideal location to have some luxury pampering. 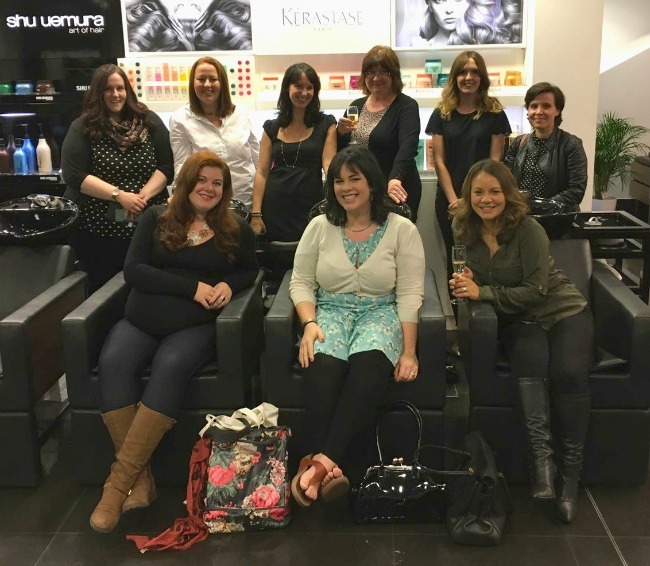 I went with a group of South Wales bloggers, we regularly meet up for a bit of me time or to support great charities like Macmillan Cancer Support. I do not think I would have gone by myself and then I would have missed out on an amazing evening. If you haven't been before then do it! The staff are friendly, it's not daunting at all it's just relaxing and be warned, it is addictive. 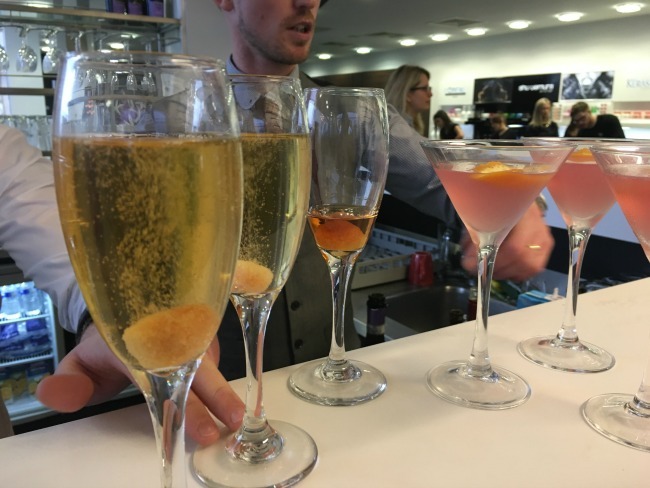 Firstly I found the refreshment bar, this is open when the salon is open and serves a variety of complimentary drinks, including wine! We were being pampered so we had some cocktails made just for us, a delicious Cosmopolitan and a unique King of Italy; Disarronno and Prosecco poured over a sugar cube sprinkled with Angostura bitters. Oh yes, as good as it sounds. 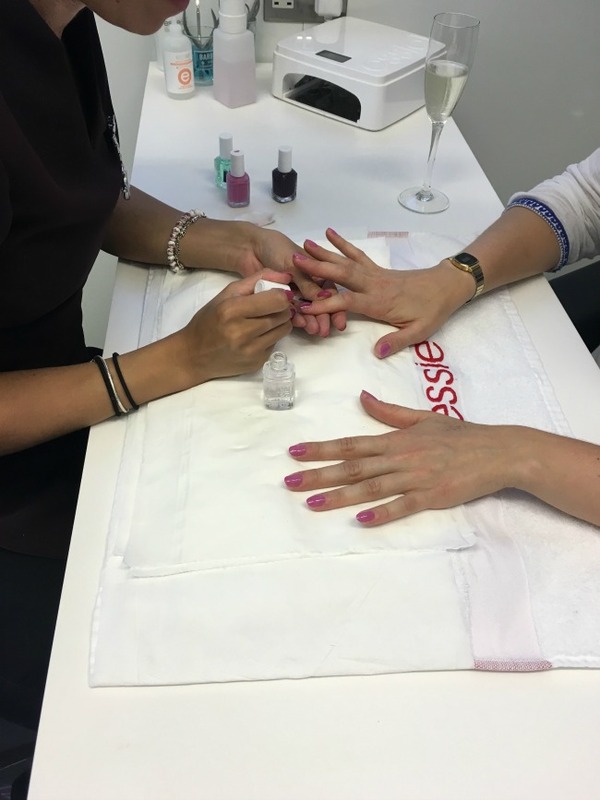 Armed with my King of Italy I made my way to the essie nail bar and Bianca shaped and polished my nails to perfection. I now know I must use a base coat and a top coat. The next day Bear said "Wet! Wet!". They were so glossy and flawless he thought my nails were wet. Then it was time for my hair. Amy chatted to me and found out what I wanted. Curls and bounce. I loved it and felt wonderful. All aound the salon I could hear people saying they wanted their own stylist at home to do their hair every morning. I had to agree, mine looked amazing and Amy took time to teach me how to replicate it at home. Her first piece of advice was to buy a hairdryer. She was so kind but I am sure I am the first person she has styled that doesn't own a hairdryer! It's now on my must buy list. I felt glamorous and my nails were dry so it was time to try the canapes. Sadly for you these were a special treat just for us. They were delicious. The pork and crackling were just amazing and every one bite sized. 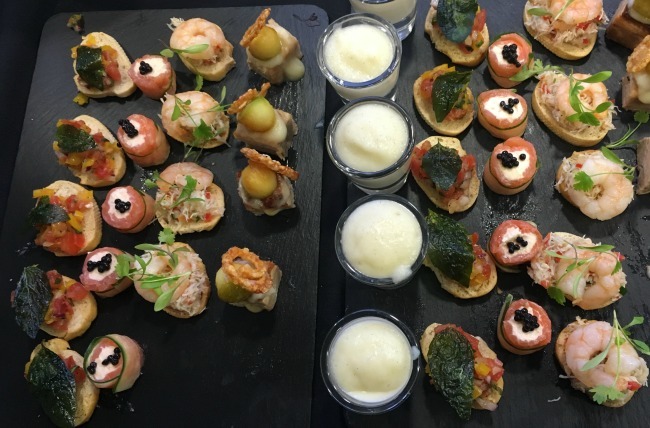 Catering was by Spiros Caterers, they also cater for weddings and at home. At home? Could you imagine it? Perfect food served in your own home....amazing! After a fantastic evening Ken Picton handed out some amazing prizes, our Ceri won first prize! None of us left empty handed though we were all given a goody bag full of products to try. This is perfect for me as I now have something in my new beauty bag. 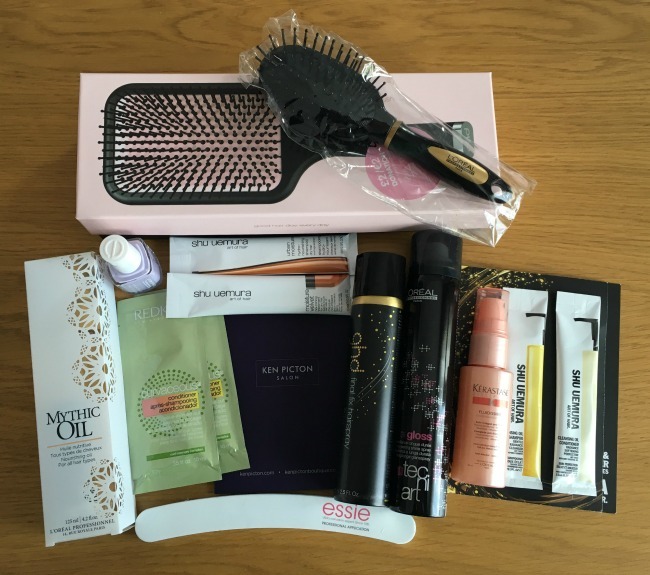 GHD paddle brush; L'Oreal Handbag Brush; L'Oreal Mythic Oil; essie Lilacism Nail Polish; Redken Curvaceous Conditioner; she uemura Art of Hair Cleansing Oil and Conditioner; GHD Final Fix Hairspray; L'Oreal Crystal Gloss; Kerastase Fluidissime; essie Nail Board. 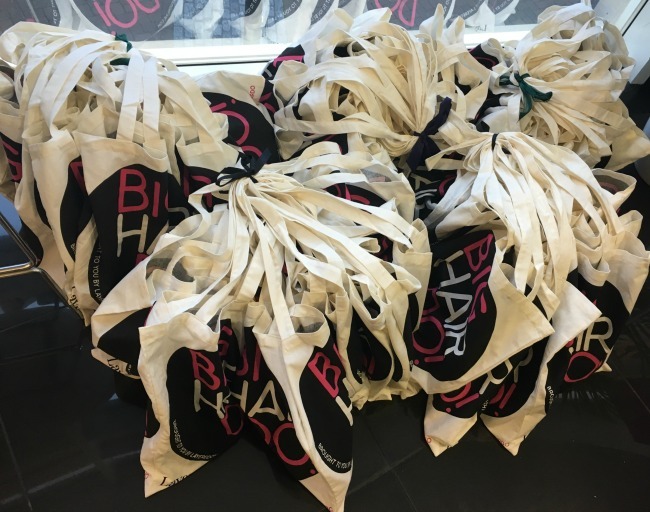 There were so many gorgeous products in my goody bag. They will be the basis of my new "pamper me" bag. I will have to try them all! What we really look like when we are not posing. We had the most amazing time and I would certainly go back. I just love my hair and nails being done professionally. 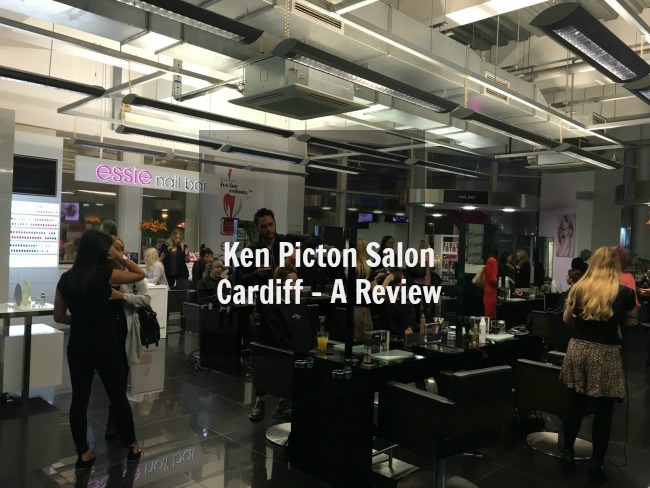 We all need a little me time and Ken Picton Salon in Cardiff Bay is a great place to go. *Disclaimer - I was invited to the event for the purpose of a review. All opinions are honest and my own. Fantastic review and pics! It was such a well constructed event. 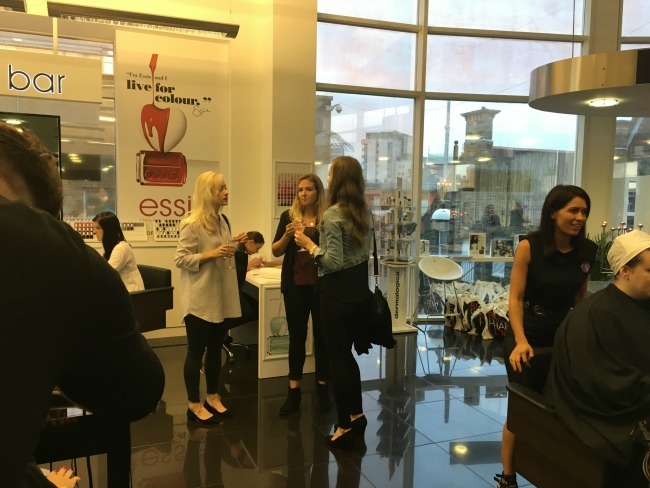 They really know how to treat their clients well! I'm saving up to go back.